Lock in a great price for Hôtel Restaurant - Les Maraichers – rated 8.3 by recent guests! Free parking next to a hotel. Very nice breakfast. Highly recomemded. The staff is friendly and helpful. Beatrice at the front desk and later helping to wait tables made my stay much more enjoyable... she speaks great English and is a fine mediary between hotel and guests. One can reach downtown Colmar in 15 minutes by foot, and staying at Las Marachiers is a welcome relief from touristy crowds. It's also in a quiet area on weekends. Staff was very kind, the location is very close to the Colmar centre, 15 min walk, it was comfortable and clean. Breakfast was with plenty of choices and very tasty. Realy value for the money. The staff were helpful and friendly, and the onsite restaurant was a good place eat after a long drive from Switzerland. The food and service was good, and the breakfast selection wide and varied. 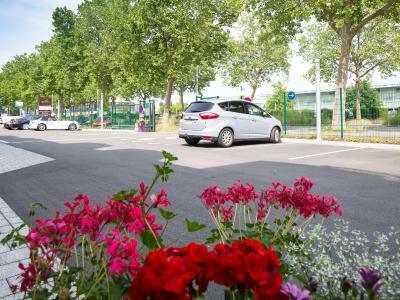 Location is excellent for those travelling by car, as it is close to the autoroute, has ample parking, and is 15-20 minute walk into central Colmar. I would stay here again if I was passing by the area. nice location, good parking, nice room altough not too big. Would recommend this hotel for all car travellers because of very fortunate location before entering Colmar, when you come from South. Quiet place. Large parking lot. Free wifi. Tasty breakfast - all you need after a trip. Wonderful english speaking staff with great accommodations and nice little restaurant. We were very satisfied with our support, room, and the food. It was a 15 minute walk to little Venice, so it is a bit far, but the safe parking, GREAT wifi, and nice staff made up for it. This hotel is located at the entrance of Colmar, just 0.8 mi from to the historic quarter known as Little Venice. It offers free WiFi access. 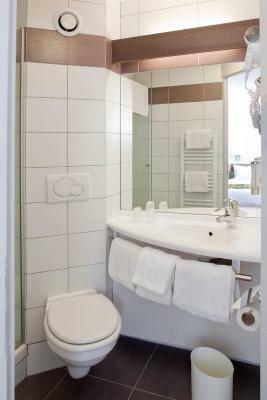 Each room at the Hôtel Restaurant - Les Maraichers is equipped with a private bathroom and a flat-screen TV with cable channels. Also available are rooms suitable for guests who have limited mobility. In the evening, dine in the hotel’s air-conditioned restaurant or on the terrace where guests can experience a meal with the various flavors and traditional Alsace cuisine. Everything served is made with the finest local and regional products. Colmar Train Station is 1.4 mi from the property. 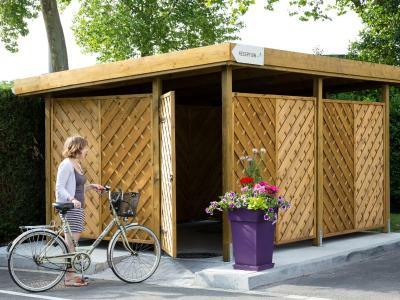 Bicycle storage and a free private parking are available on site. When would you like to stay at Hôtel Restaurant - Les Maraichers? Serviced by a elevator, this nonsmoking room has free Wi-Fi, air conditioning and a private bathroom with a hairdryer. An LCD TV is also available. Serviced by a elevator, this nonsmoking room has free Wi-Fi, air conditioning and a private bathroom with a hairdryer. An LCD TV is also available in this room. 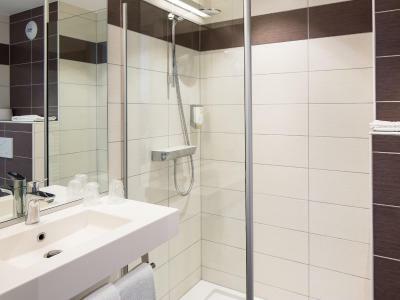 This room includes free Wi-Fi and a private bathroom with a hairdryer. It includes 2 interconnecting rooms and is not serviced by an elevator, however a ground-floor room can be requested. Accessed by a elevator, this nonsmoking room features a large flat-screen TV, free WiFi and en electric kettle. 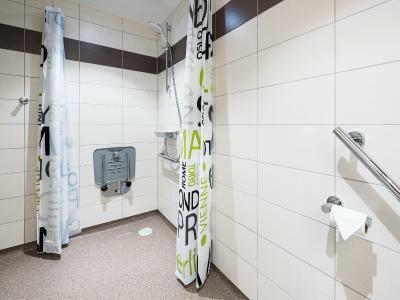 It also has a larger bathroom with shower and hairdryer. This more spacious, nonsmoking room features a large flat-screen TV, free WiFi and en electric kettle. It has a larger bathroom with shower and hairdryer. House Rules Hôtel Restaurant - Les Maraichers takes special requests – add in the next step! Hôtel Restaurant - Les Maraichers accepts these cards and reserves the right to temporarily hold an amount prior to arrival. If you plan to arrive after 22:30, please contact the reception in advance to obtain the hotel's access code and your room number. If you wish to book a disabled-friendly room, please contact the hotel in advance to confirm availability. Restaurant will be closed from the 23rd July to 26th of July due to renovation works. Dissatisfied and disappointing with the rules of the hotel and by the receptionists. They where not ready to accompany 2 year old child in double room with 2 adults, for which the baby sleeps with us in same bed. We didn’t have any option other than upgrading to triple, for which we had to pay extra which was double the price we booked. Yes the price was high also without breakfast. Not far from city center but could be a bit closer. My wife's main course was quite unpleasant - burnt outside, very little of the advertised cheese within and the meat inside none too warm either. This was pointed out to the restaurant staff at the time but they were "defensive". When checking out I again suggested that tha meal wasn't worth paying for but the staff claimd they could not offer any recompense and anyway "the chef said it was OK". We have used this hotel many times in the past 10 years but will never go there again. Receptionist deborah doesnt act like she working on tourism sector. We booked 13 rooms and she firgot to collect city tax from us and after we leave hotel accuse us of not paying. We have been to many hotels and they will inform us right away if we paid or we need to pay the city tax still. Poor service , focus on things that are not needed. Nothing. Receptionist deborah forgot that we are paying clients and should treat us better, we booked 13 rooms . Slightly off the old town, 15 minute walk. Great parking, clean, comfortable rooms. Good middle class hotel. Own secured car park. The room was quite OK, a bit small but clean. Good noise isolation, the hotel is located between two busy streets - heard no traffic noise. Old town centre is some 15 min walk away. Very good breakfast. Good overall value. The check in lady we he arrived was great & professional. Unfortunately the morning/breakfast staff weren’t so great and we left with a sour taste in our mouth. Shame as a lovely hotel. Having booked a family room for 4 people I was expecting a bit larger room. Also the furniture is quite basic and the hotel is getting a bit older. During my stay I found that there is a more recent and better quality hotel is town which was offering similar price. The location easy to access from the motorway, internal parking, hotel restaurant which provides a good cost/quality ratio.